Sierra Leone's Superior Court judiciary is made up of the Supreme Court, the Court of Appeal and the High Court of Justice. As in other British colonies, judges are often addressed as "My lord" or "Your ladyship" and other court officials are referred to as "Master" or "Your Worship." Although former British colonies such as Kenya and India have either completely retired or scaled back use of judicial wigs, Hong Kong and Sierra Leone remain attached to this centuries-old British custom. 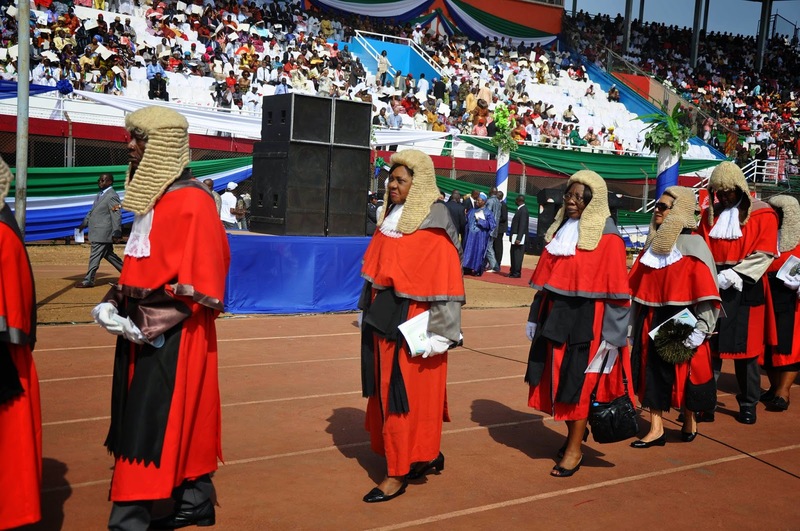 Judicial wigs, which once served as the clearest signpost of [an] hierarchical order that afforded most citizens no access to the law, clearly has no place in modern Nigeria. Along with those gowns - adopted in 1685. 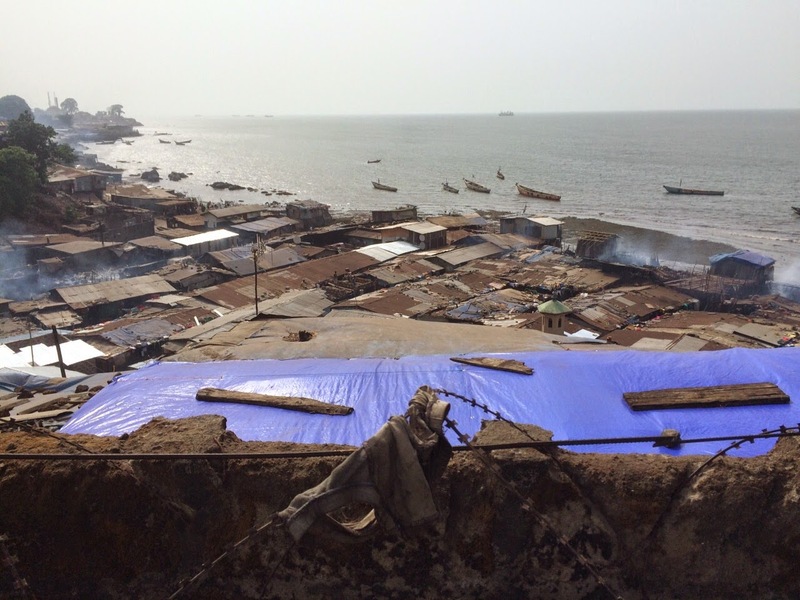 Almost five years ago, a Concord Times reporter had this to say about Moa Wharf, a low lying coastal slum area in Freetown's eastend where three families were quarantined recently. Moa wharf is home to an estimated population of seven thousand people, many of them children. Life in Moa wharf, as in many Sierra Leonean slums, is difficult. Hundreds of thousands of people live with no proper sanitation. On March 18, the newly confirmed Ebola cases in the Western Area Urban, were from the Tripoli-Moa Wharf hotspot. International Organization for Migration (Sierra Leone) staff visited with Medair and the U.S. Office for Foreign Disaster Assistance. IOM witnessed as Medair delivered Emergency Interim Care Kits to three quarantined families in the Moa Wharf community in eastern Freetown, they wrote on their Facebook page. Two-wheeled transport is catching on fast. 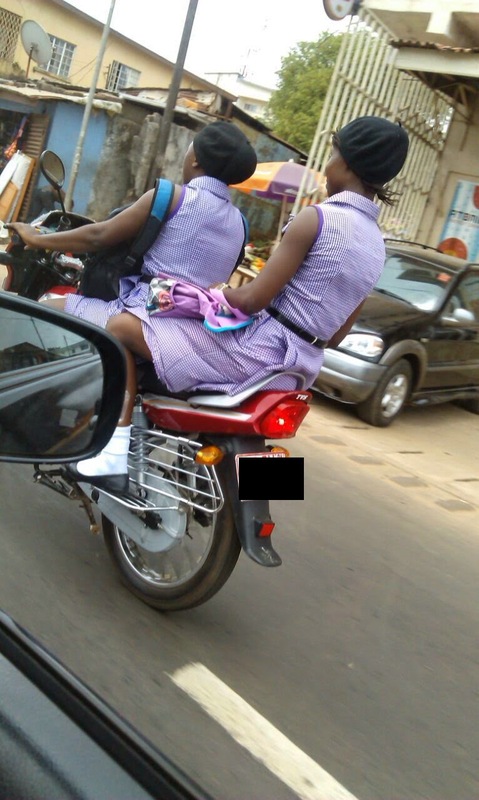 In Sierra Leone, scooters and small motorcycles are the fastest growing transport industry. A new scooter (also known as Okada) retails at around Le4.8 million (about US$1,000). Many of the imported brands are from China, India, Taiwan as well as South Africa. They include iconic names like Suzuki, Jonway, Bashan, Bajaj, Big Boy, Gomoto, Zongshen, and Honda. Koinadugu is a district in the Northern Province of Sierra Leone. It is the largest district in geographical area. It has a total area of 12,121 km2 (4,680 sq. mi). No surprises in the newly published Passport Index. Have (Rich) Passport. Will travel. According to Arton Capital, which compiles the Passport Index and empowers high net worth people to become global citizens, the country list is based on the 193 United Nations member countries and 6 territories (Macao, Kosovo, etc.) for a total of 199. Without a doubt, western nations give passport holders the most global mobility. They can visit more countries without a visa. Island nation Seychelles has the highest passport power in Africa, followed by Mauritius and South Africa, with one of the largest economies in Africa. In the Economic Community of West African States (ECOWAS) Guinea leads, topping even global super power China. President Koroma gave a passionate speech for Sierra Leone and the Mano River Union region to top investors at a luncheon hosted by the Corporate Council on Africa Thursday. 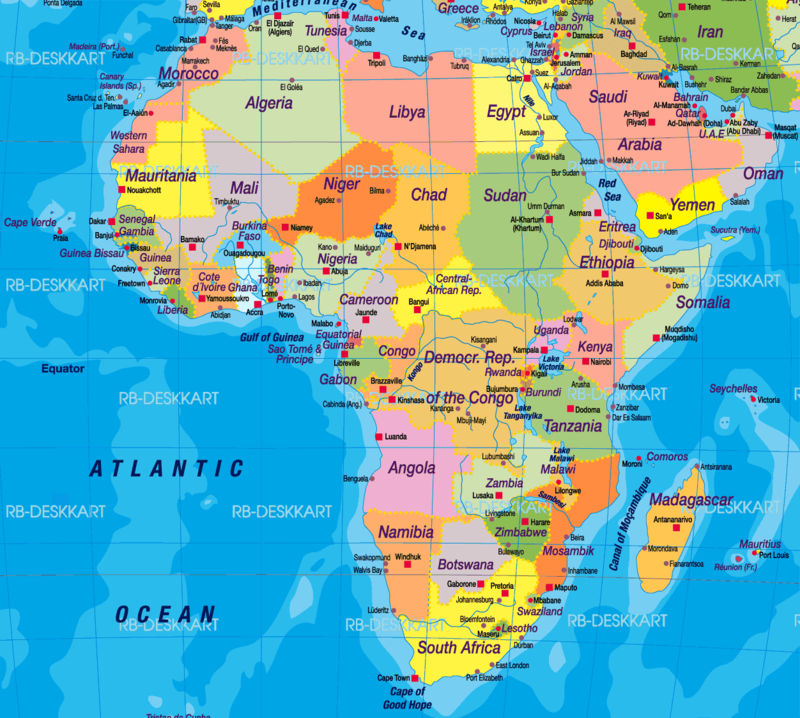 The Corporate Council on Africa (CCA) is the premier American organization devoted to United States-Africa business relations and includes as members more than 180 companies, which represent nearly 85 percent of total U.S. private sector investments in Africa. CCA’s members range from America’s smallest to largest corporations. They represent a diverse pool of industries from Africa's most promising sectors, including agribusiness, capacity building, energy, finance, health, ICT, infrastructure and security. 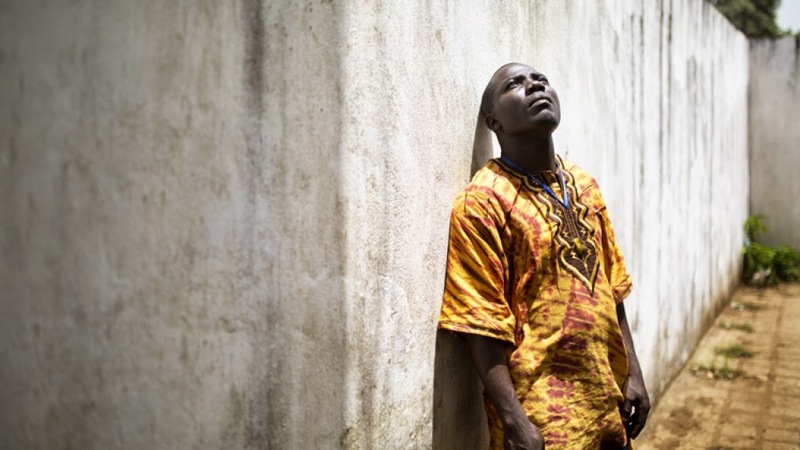 Ebola has had disastrous consequences. We’ve lost a huge number of our compatriots, the economy is almost grounding to a halt, and the nation, and the region, has been isolated. President Barack Obama met with presidents from the three Mano River Union countries that have been most affected by the recent Ebola outbreak Wednesday. 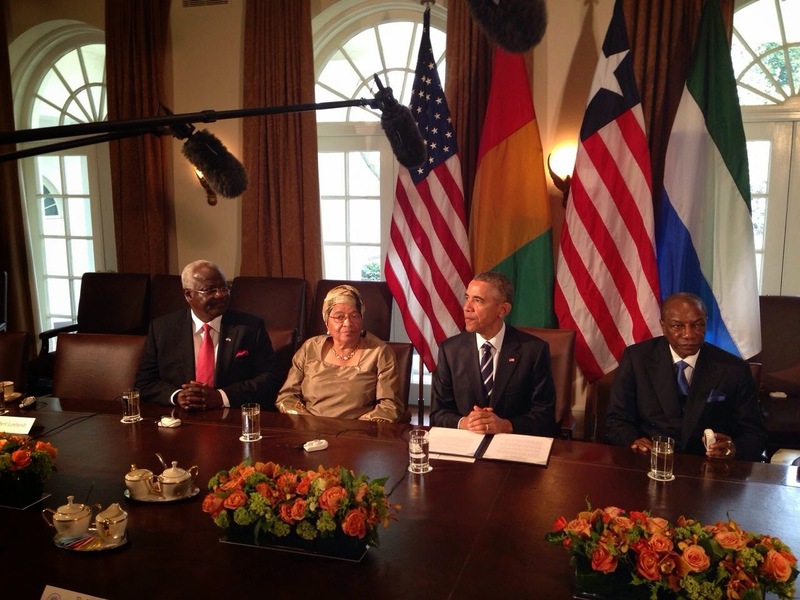 President Obama discussed the progress made in the international Ebola response to date with his West African counterparts. They also reviewed how the United States can continue to partner with the Mano River region to pursue the ultimate goal of getting zero Ebola cases, turn sights to long-term economic recovery, and establish capacity to prevent future outbreaks from becoming epidemics. "We're proud to partner with you, and we intend to see this through until the job is done," Obama told Presidents Ellen Johnson Sirleaf of Liberia, Alpha Condé of Guinea and Ernest Bai Koroma of Sierra Leone. Last November, the city of New Haven kicked off a community-wide effort to raise $100,000 to help Sierra Leone's Ebola fight. 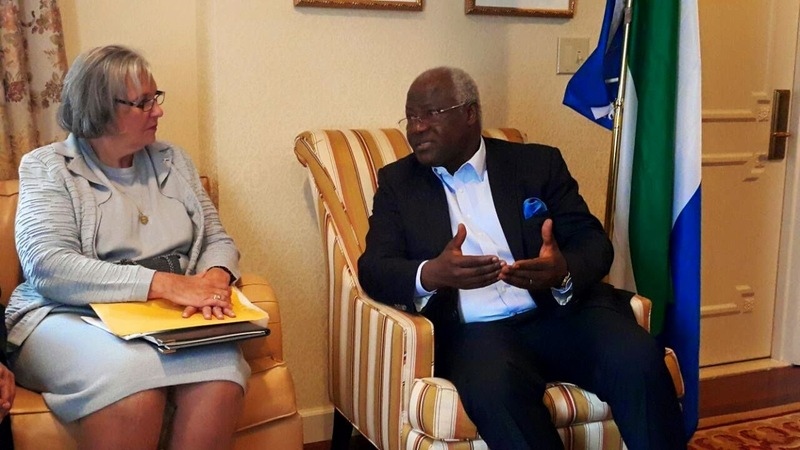 In a downtown Washington D.C. hotel Tuesday, New Haven city leaders met President Koroma to give him the good news. 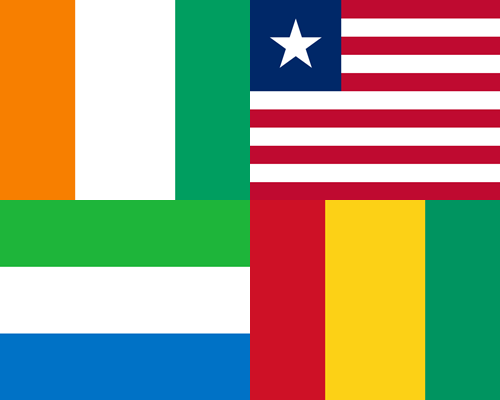 Freetown has been one of New Haven’s sister cities since 1997. "New Haven delegation just told President Koroma that their citizenry of 130,000 people raised $140,000 in cash to purchase ambulances and other goods to help the fight against Ebola," Sylvia Blyden wrote on WhatsApp's Media Junction. 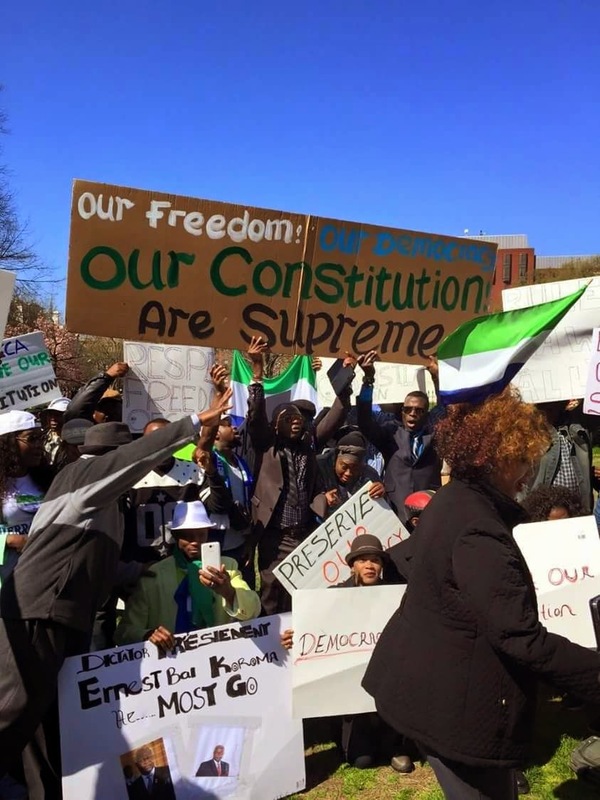 Competing rallies on the legality of Samuel Sam-Sumana’s dismissal in March as Vice President of Sierra Leone took place a sidewalk away from each other in Washington D.C. on Saturday. The weekend demonstrations in the capital of the United States followed similar protests in London on Thursday. 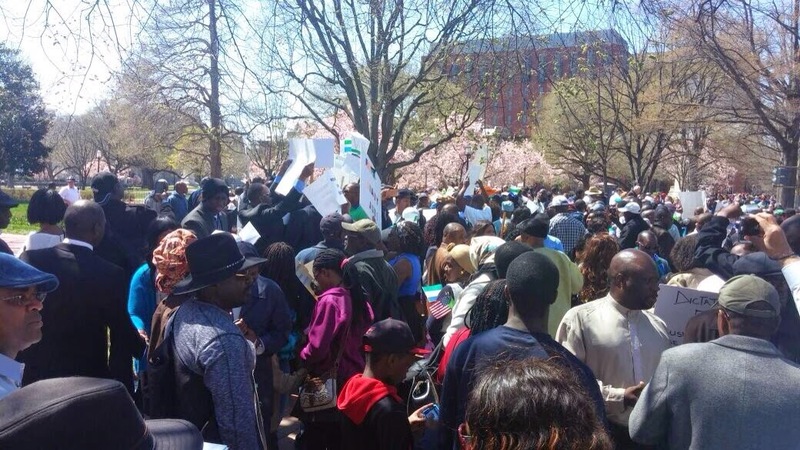 Scores of Concerned Sierra Leoneans USA members gathered in Lafayette Park Saturday to support a petition now in the West African nation’s Supreme Court. The goal of that petition is to block the replacement of Sam Sumana from carrying out his duties, pending a ruling on the legality of Sumana’s removal from office in March. Freetown -- (April 9, 2015) Five Supreme Court judges including the Acting Chief Justice Valesius Thomas heard a 'Notice of Motion' by J.B. Jenkins Johnston, the lead counsel for the plaintiff Samuel Sumana. 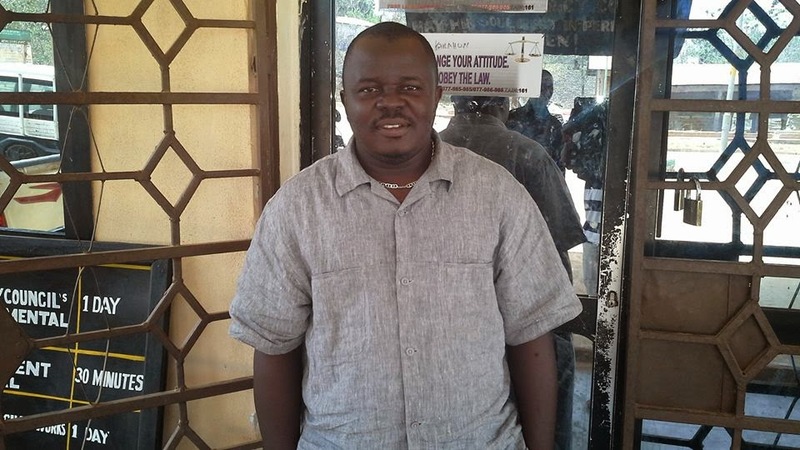 The plaintiff is seeking an interlocutory injunction "to restrain Victor Bockarie Foh from acting as and/or carrying the functions of the Vice President of Sierra Leone pending the determination of the matter before the Supreme Court, in respect of the action of the President to "relieve" his Vice President." Lead Counsel for the second respondent Victor Foh is Ajibola Manley-Spaine. 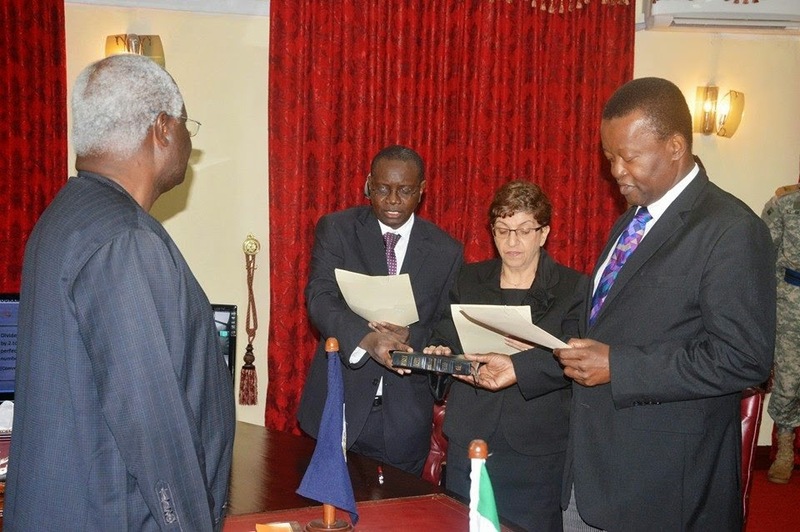 Berthan Macauley Jr. is lead counsel for the first respondent, the Attorney General of Sierra Leone. Observers say the controversy erupting in Kailahun over the case of a dead baby might just open up critical questions on the Ebola epidemic in West Africa. "While the child appears to be at the center of this controversy, the real question being raised here is the mode of transmission: Is this virus transmitted or transfused?" asks Chernor Bah, chairman of the African Socialist Movement of Sierra Leone. "We are strongly contesting the validity of the one case today in Kailahun. A young child of 9 months, fell ill and was hospitalised at the Nixon Memorial Hospital in Segbwema. They requested blood transfusion and a donor offered his blood. Eventually the child died and a swab was collected to verify the cause of death. It is this result that has created doubt in the whole system." “With regards the development of a strange positive case of Ebola appearing in a 9-month-old baby in Kailahun, everyone should vigorously be concerned,” writes Sylvia Blyden. The former special executive assistant to President Koroma recently spoke on the impact, consequences, prospects and challenges facing young people because of Ebola. Blyden represented Sierra Leone as a global youth activist on a panel at Chatham House, the Royal Institute of International Affairs in London on January 20, 2015. On Saturday, April 4, 2015, the chief executive officer in Kailahun, the eastern district where the 9-month-old baby reportedly died, confirmed that swab tests have shown the baby was positive for Ebola virus disease, but he expressed some reservation because both parents showed no signs of Ebola. In a media group she manages on WhatsApp, Blyden, a medical doctor, asked whether the child had been breast fed and suggested that the mother’s milk be PCR tested.